How can I cancel my SMS payment? How do I upgrade using SMS? What does the payment appear as on my statement? Why has my offer code not been applied? Why is the cancellation button greyed out? Unless stated otherwise, most offer codes are only valid for 3 days from the date of receipt. To use your offer code successfully, make sure that you've selected the correct subscription length and then type the code exactly as it appears on the email. If an offer code isn't working, I would advise checking the expiry date of the code to make sure that it hasn't already expired. If you have been sent an offer code within the last 3 days and it has not been applied to your payment please contact us as soon as possible so we can amend your payment. 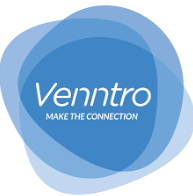 You can email us directly on support@venntro.com, please include your member ID number.